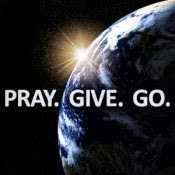 Throughout our Christian journey, God continually gives us opportunities to “go” and answer His call. How will you respond when God’s next call comes to you? This message gives five fears that you will face, along with five truths to help you go when God calls.